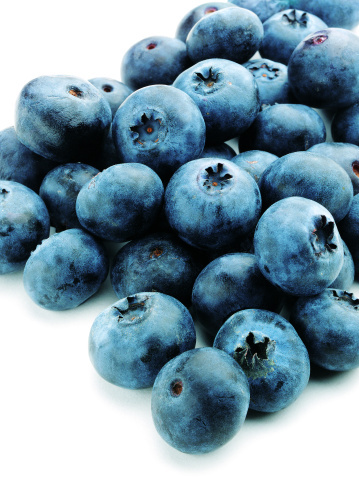 Blueberries are popular fruit for home growing, especially in areas with moist or acidic soil. These bushes produce fruit that works well for fresh, cooked or frozen use. Like other plants, blueberry bushes go through a specific set of stages over the course of their lives. This life cycle can be influenced, but not changed, by environmental factors. Each blueberry contains many tiny seeds. Each blueberry fruit contains many extremely tiny seeds. In nature, unharvested fruit falls to the ground. As it decays, the seeds come into contact with the soil, sprouting the next spring when the weather warms. Birds and mammals also eat blueberry fruit, dispersing seeds. Most cultivated blueberries are not actually grown from seed. 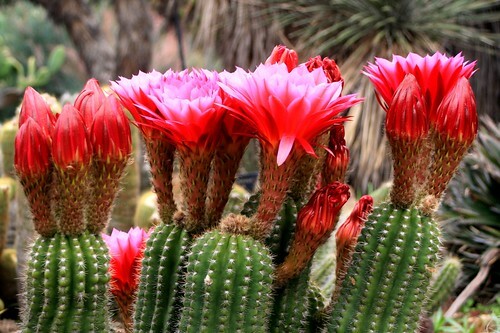 Instead, they're grown from cuttings, and are really just clones of the parent plant. Blueberry seeds will produce genetically different offspring. Blueberry seeds begin to germinate when temperatures reach 60 to 70 degrees Fahrenheit. According to the University of Maine Extension website, they take about a month to germinate and emerge from the soil. They grow quickly, becoming small bushes within a few months. As cold weather approaches, blueberry bushes become dormant for the winter. They shut down their life processes during the cold months, and can survive temperatures as low as minus-10 degrees Fahrenheit. When weather warms again, the roots revive and begin to provide sugar for later growth. Blueberry bushes can live for up to 30 to 50 years, according to the University of Minnesota Extension website. They may take several years to reach maturity and produce fruit. Adult blueberry plants put out clusters of six to 12 small white flowers in late spring. These flowers open starting at the base of the bud. Blueberries cannot pollinate themselves, and require bees to fertilize their flowers. Several species, including bumble bees, honeybees, carpenter bees and southeastern blueberry bees, visit these flowers and transfer pollen from the anthers to the stigma, allowing the adult bush to fruit and reproduce. Fertilized blueberry flowers produce the familiar purplish-blue berry within a few weeks of blooming. According to the Michigan State University Extension website, the first flowers pollinated usually fruit sooner and produce larger blueberries. 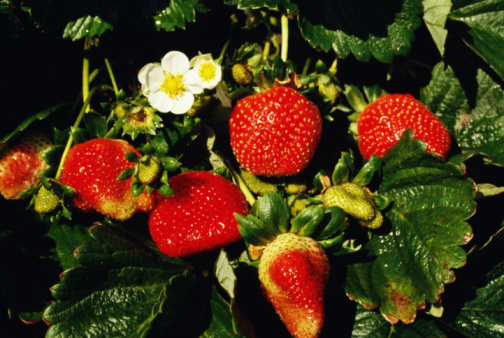 This occurs because fruit at the bottom of the cluster receives sugars and other nutrients from the roots before fruit at the top of the cluster. Why Are My Strawberries So Small?